Some of my fondest childhood memories include going for ice cream with my parents on a hot summer day. I remember always picking the Bubble Gum flavor and looking ridiculous afterward because my mouth would be stained blue from all the ice cream. My parents didn’t care how messy I got or how silly I looked. The only things that mattered were the conversations we had and the memories that followed. So, I guess it should come as no surprise that I’m carrying on the tradition with my family. Living in Frisco allows us to pick from a wide array of ice cream restaurants and today I’m sharing three of my family&apos;s favorites with you. 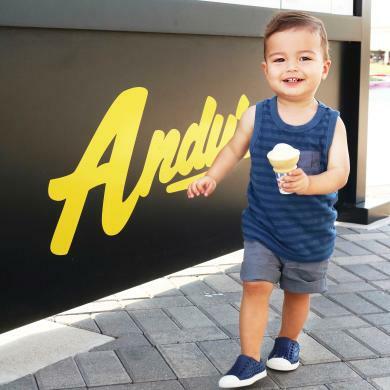 For a fun outdoor experience, head to Andy’s Frozen Custard (there are 3 Frisco locations!). Their walk-up service window has a pleasant, retro vibe and the entire restaurant is made of transparent windows. This allows customers the opportunity to see the giant custard machines hard at work, and since Andy’s custard is made directly on site it’s always served within the hour it was made. Talk about fresh! They also have a drive-thru option which means you can swing by after work or take the kids for a treat without having to leave the comfort of your own car. It doesn’t get any more convenient than that. 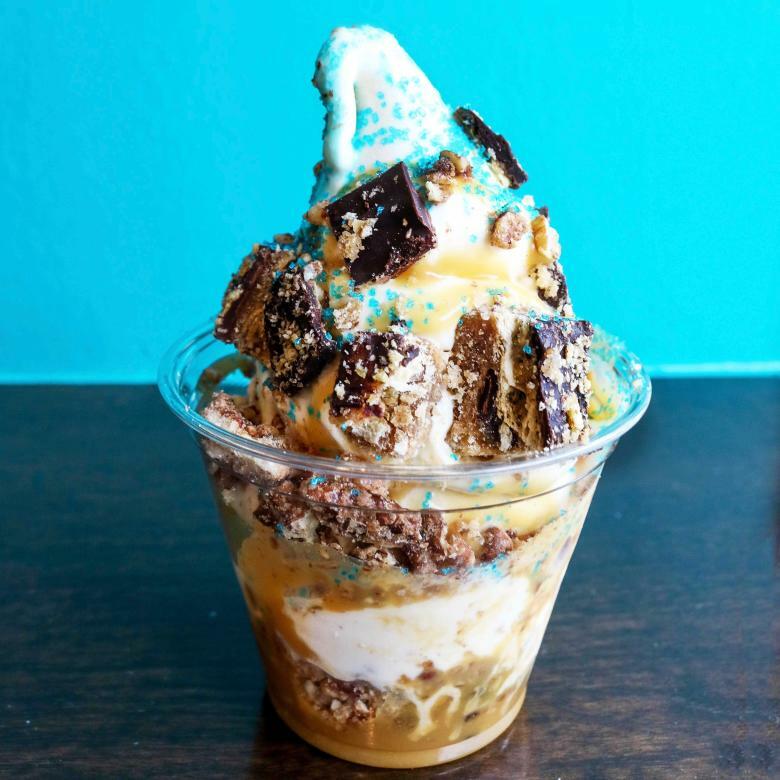 Cow Tipping Creamery is on a mission to revolutionize soft serve with their famous “Stackers”. Picture this, soft-serve ice cream layered between delicious exotic toppings. 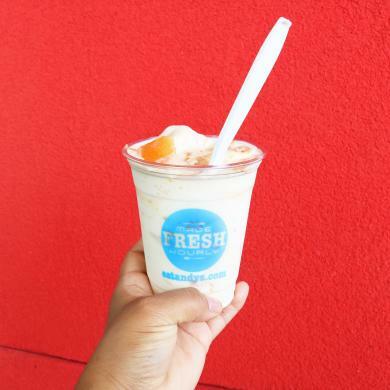 It’s kind of like a parfait but Stackers are far more life-changing. The best part, all of their toppings are made in-house. Sure, they have your average sprinkles but if you’re feeling a little crazy don’t hesitate to ask for those funfetti cake chunks. Trust me, they’re delicious. Afterward, don’t forget to burn off some calories by exploring the rest of The Star and enjoying the Dallas Cowboys-themed campus. 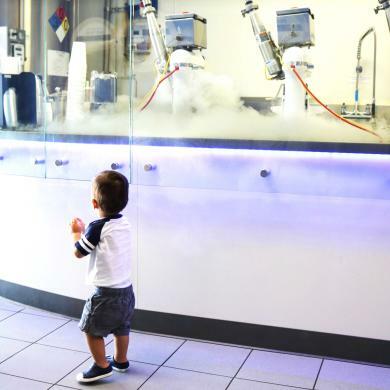 When you walk into iCream Café it might feel a little like you’re in the middle of a science experiment. Why? Because all their ice cream is made from liquid nitrogen machines. Maybe I’m just a nerd but when you combine science and food I think it’s pretty awesome. You pick any ingredients on the menu and let the liquid nitrogen work its magic. It puts on quite the show and don’t be surprised if you find yourself watching the process. Also, let’s say for some hypothetical reason you’re not in the mood for ice cream, they offer shakes, yogurt, and hot pudding too. So, there you have it, folks. 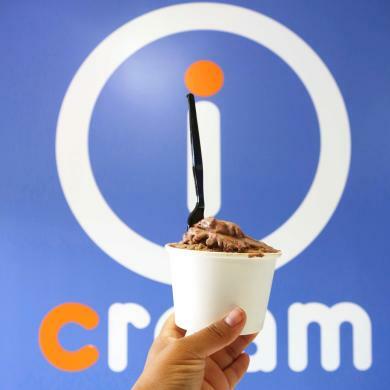 Some of the most unique ice cream restaurants in Frisco. Do you have a personal favorite? I’d love to hear it in the comments below.